Don’t be STUPID…….Hire a Bookkeeper!!! SPORTS GAMBLING: it’s NOT just a fantasy……. How to get a tax write off for summer vacations? Gundersons Bookkeeping has been in business since January 2012. 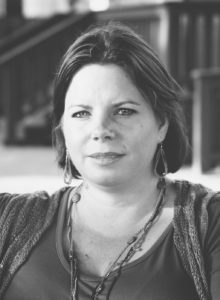 Kristin Gunderson earned her Bachelor of Science degree at the University of Wisconsin – Superior and a Master of Business Administration in Accounting at the University of Phoenix in 2006. Kristin has over fifteen years of bookkeeping experience working with various businesses and industries. Kristin is a Registered Tax Return Preparer with the IRS and has seven years of income tax experience. She is a member of the American Institute of Professional Bookkeepers. Kristin is also a Certified QuickBooks Pro Advisor. This means that she is a QuickBooks expert and she can also save you 30% off QuickBooks when upgrading or purchasing Quick Books. She is married to Kyle Gunderson, a Houston Fire Fighter. Kristin and her family moved out to Waller in 2009. She quickly realized that the 2.5 hour drive to and from work daily was not worth the commute. She decided to put her expertise to use, to help the community of Waller, and surrounding area. She is a member of the Waller Area Chamber of Commerce. Kristin takes great pride in customer service, communicating with her clients, and getting them what they need. Gundersons Bookkeeping is your business solutions partner, offering a broad range of services to meet the needs of our clients by having an environment that encourages personal and professional growth and a passion for the firm’s core values. Our firm supports small to mid-size business owners who are not employing full time or part-time bookkeepers. Our goal is to free the business owners from the tedious task of bookkeeping and help them focus in the operations, growth and profitability of their businesses. We will continue to be recognized as a leader in the community – known for delivering timely, quality and professional services. Socially, we are responsive to the needs of the community by volunteering time and resources as a part of our firm. We get up every day to help small to mid-sized businesses achieve their business goals so that they can reach their life-style goals.